Beeswax and jojoba oil reusable food wrap XL. This extra-large food wrap is made with organic cotton, beeswax and jojoba oil. 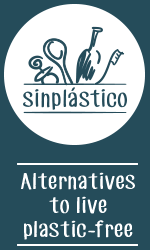 It the plastic-free & zero-waste alternative to plastic wraps. This reusable wrap is made with beeswax, (damar type) vegetal resin and pure jojoba oil infused into an organic cotton cloth (GOTS). Zero-waste basic : it is reusable for almost a year, 100% natural & compostable. Healthy food wrap: no chemicals added. Thanks to its extra-large size it is perfect to wrap big fruits like watermelon, a loaf of bread, or large containers and bowls. Used with care it can last until a year. After, you can use it as a reusable organic kitchen cloth. Find all our use tips on our blog post.